Vacation rental condominium. 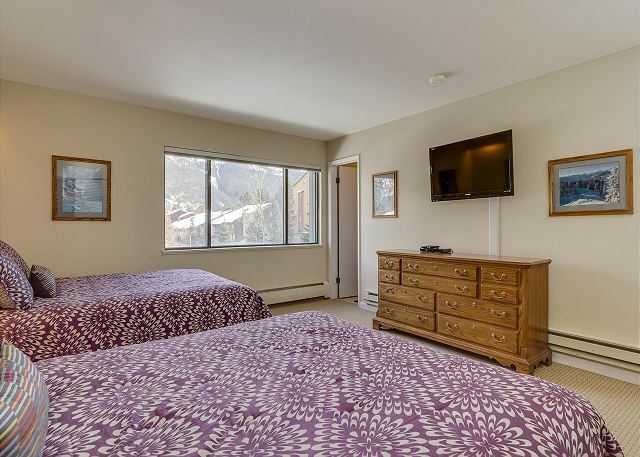 Sleeps 10, 2 bedrooms, 3 bathrooms. No pets allowed. 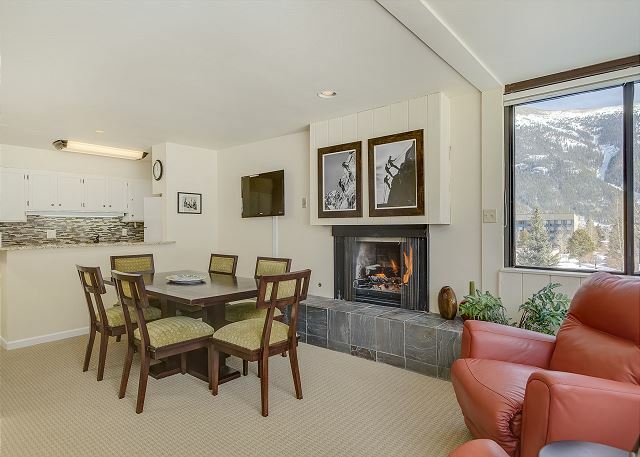 You won't feel crowded in this ski condo! With 1200 sq. feet, you'll have space! Gather at the table, comfy chairs! Seats 8 - the extra chairs aren't in picture. 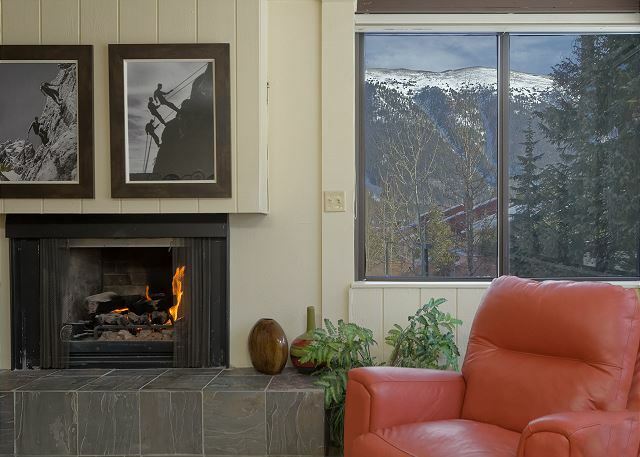 Your view of the American Eagle ski lift and halfpipe from the living room. The soft and comfy sofa doubles as a queen bed with memory foam mattress. Wide open spaces in the living, dining and kitchen, bar area. Enjoy your favorite meals at this large retro table. Fireplace and TV included. 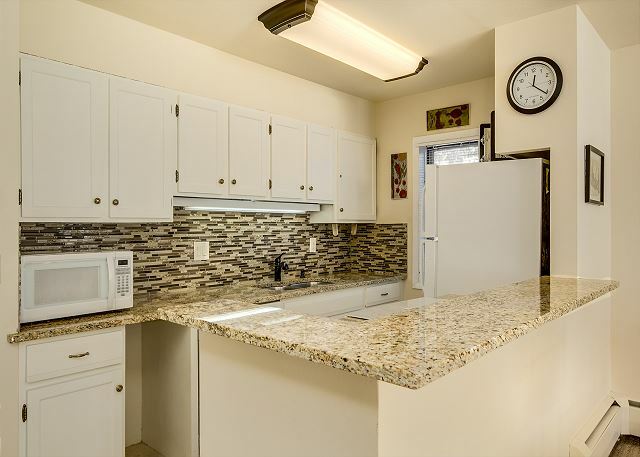 Super clean, modern kitchen w/ granite counters and full size appliances. Stainless steel sink and lots of counter space in the well-equipped kitchen. 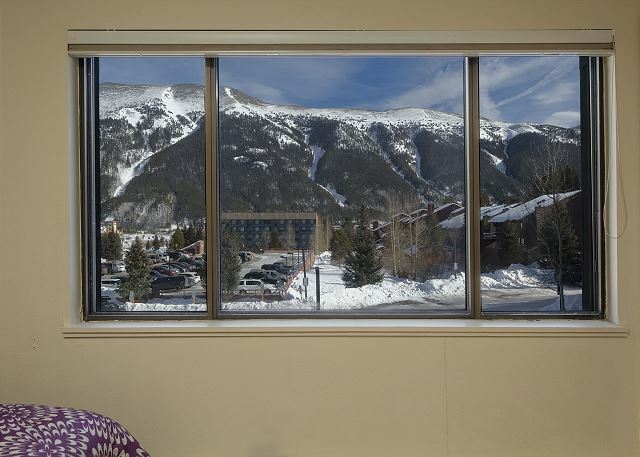 The chef will be part of the apres ski stories in this open layout and the view! 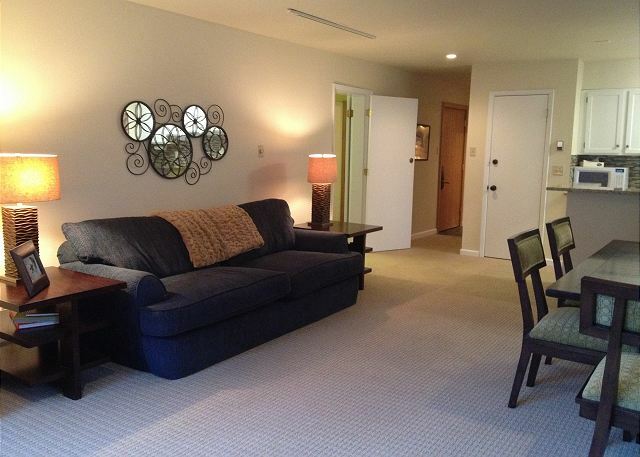 This condo features 3 large flatscreen TVs, and BluRays in both bedrooms. 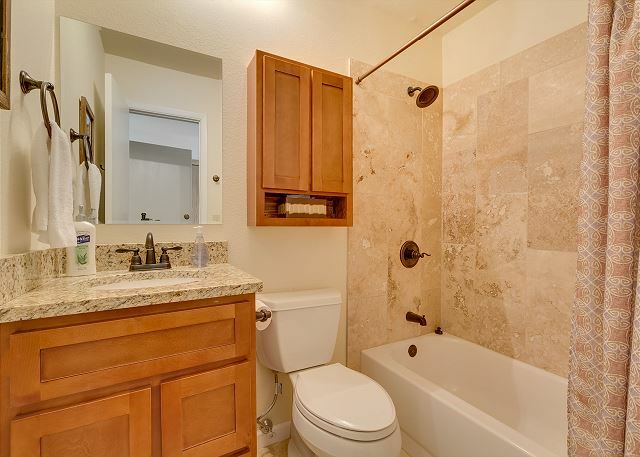 All 3 bathrooms are beautifully tiled and have granite vanity counters. 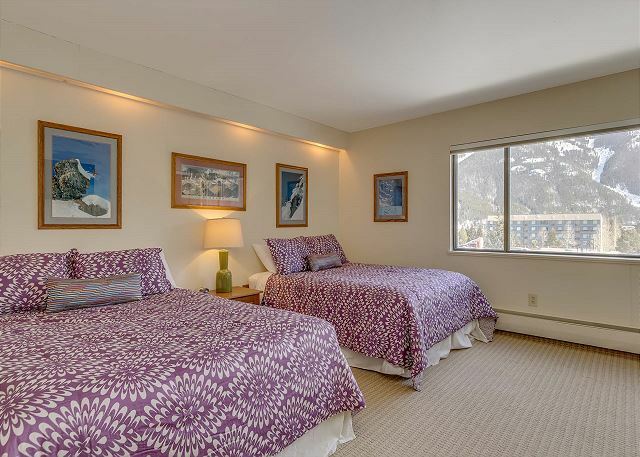 Four can sleep in the guest bedroom, in 2 queen beds with all new bedding. Lots of drawer space and a large flatscreen TV with BluRay player. The guest bath is completely remodeled with tile, granite and a shower, no bath. Also three bathrooms! The third is a full bath and conveniently in the hallway. 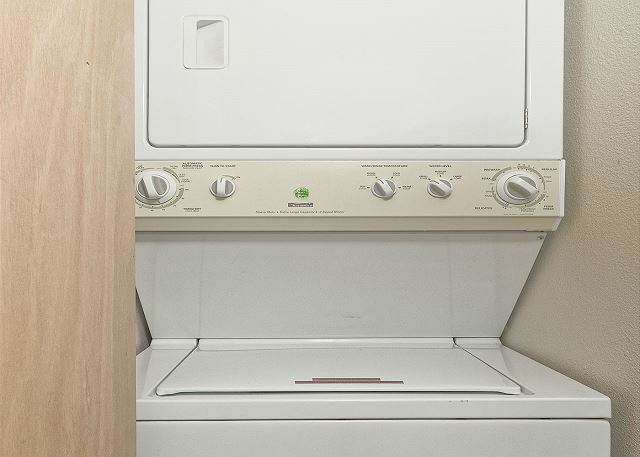 One of the best perks of this condo is your own washer and dryer! 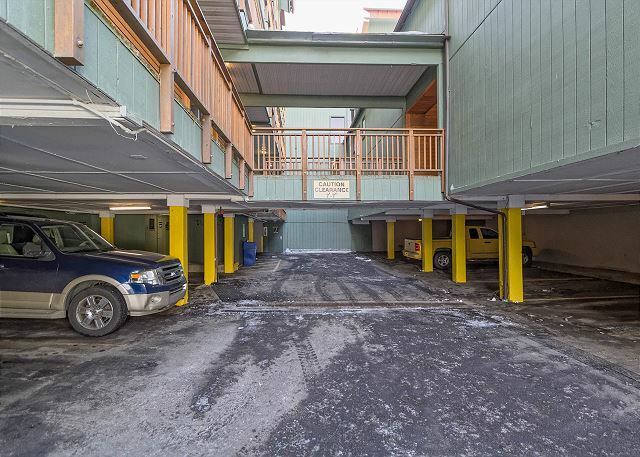 You'll enjoy covered parking under the building. The clearance is 7'7'. 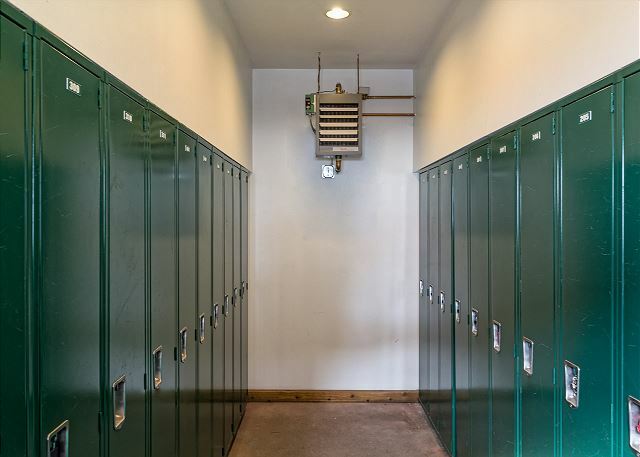 In addition to the in-unit washer/dryer, there is a laundry room next to the parking area. The American Eagle lift with Copper Junction in the background. Rockstar parking at Copper Junction is straight ahead. Or hang out on the oversized funky chairs for a photo op. Yep, that's Copper Junction. 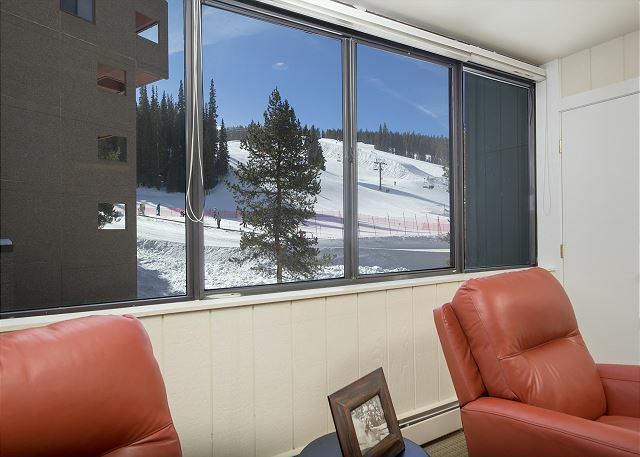 Ski right onto the patio of your building! Remodeled and Awesome! Huge Ski-in, Ski-Out Condo. Copper's Best Location! 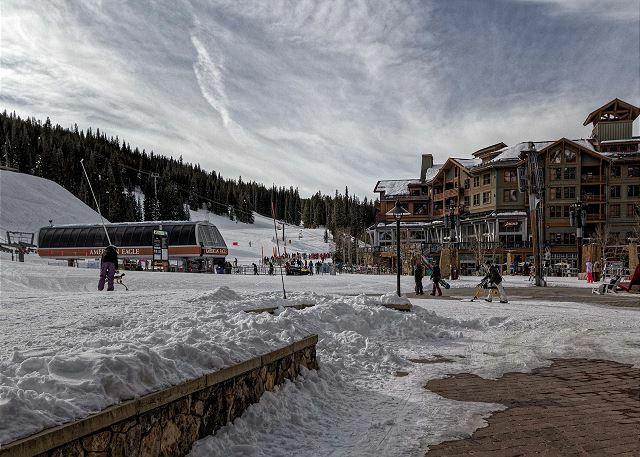 You found our Gem in Copper Junction, Copper Mountain's premier ski-in, ski-out location. 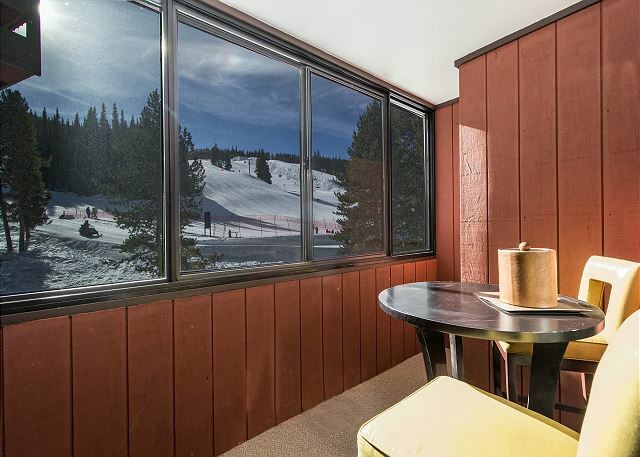 This modern retro-ish, and beautifully remodeled condo is right next to the American Eagle lift. 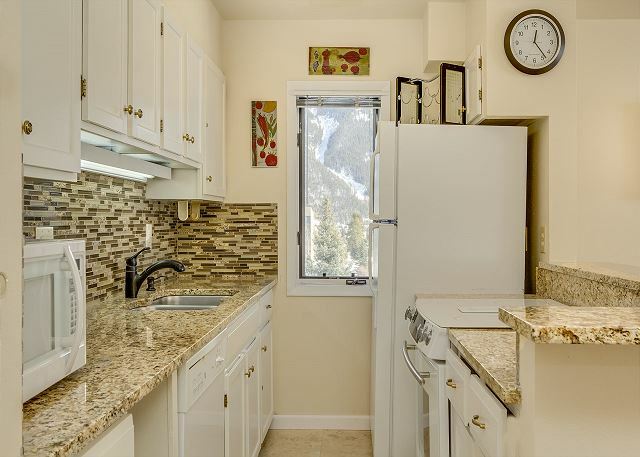 This mountain-facing corner unit with 1200 square feet of living space, includes a large living dining area that has a open floor plan with the kitchen. 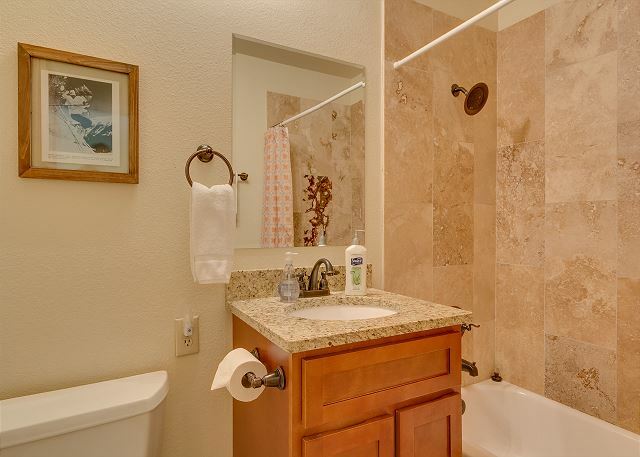 You'll love the convenience of having three bathrooms!! No more endless fighting over shower-time. 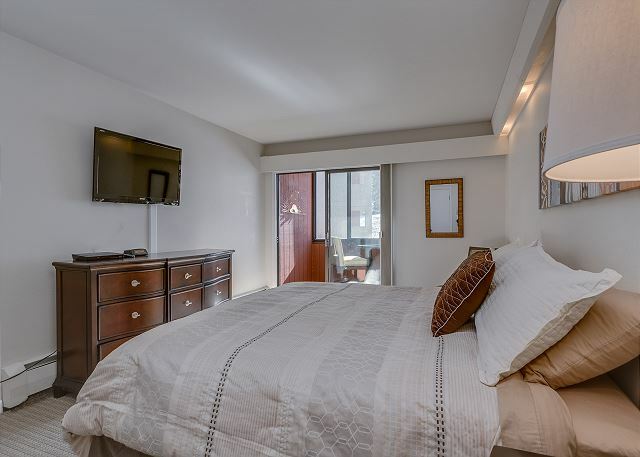 You won't find a more spacious 2-bedroom condo at Copper and it sleeps 10 people for a set nightly rate. A fraction of the cost of 3 hotel rooms and you have a kitchen and washer/dryer, so you'll save on meals and laundry too! Compare the size of this condo with other 2-bedroom condos and you'll see that you get lots more space for your money. Sleeping arrangements are: king bed in the master bedroom, two queen beds in the guest bedroom, a queen sofa-bed with memory foam mattress in the living room and two twin rollaways. 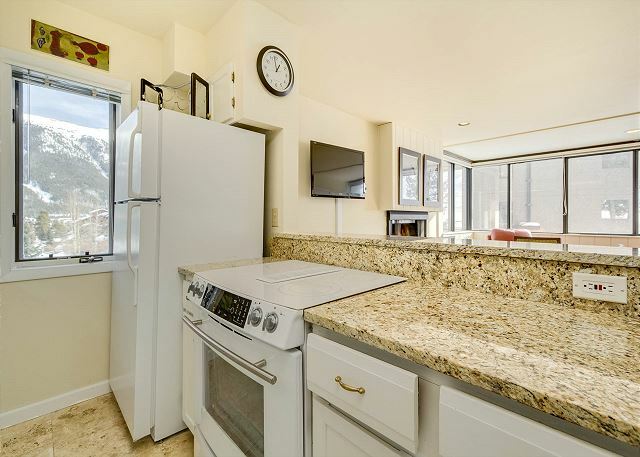 You'll cook your favorite feasts in the freshly remodeled kitchen, complete with granite counter tops, tile back splash, and open kitchen/dining area. There is also lots of new and modern furniture, 3 flat screen TVs (2 with BluRay), new bedding AND did we mention your very own washer/dryer! 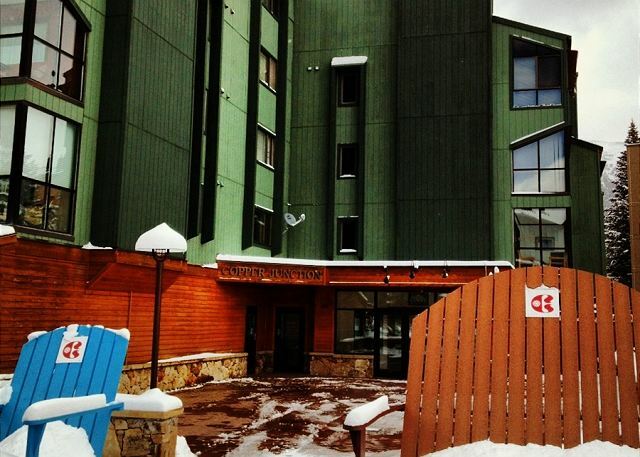 Copper Junction is a great location for all seasons, with easy access to the slopes in the winter. The rest of the year, enjoy Sunsation, Copper Country, Yarmony Fest and all the impressive live music lineups. All just outside your door. Copper Junction was built in 1973, and the units within have large floor plans. 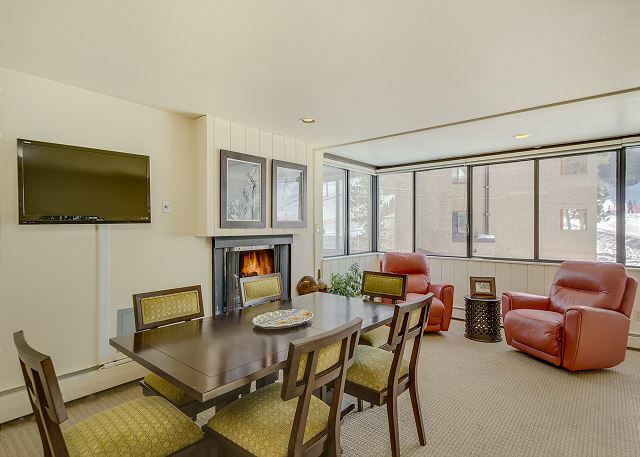 And this condo is remodeled and updated, so it offers the best of both worlds - lots of room AND modern updates. Don't forget that this location can't be beat! 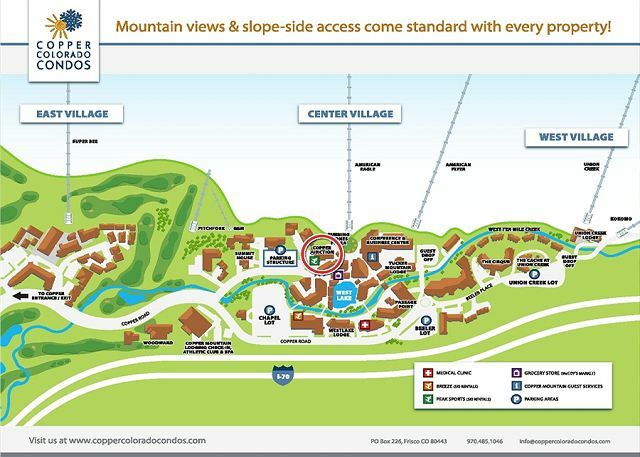 The resort free shuttle stops are right in front of the Copper Junction building. 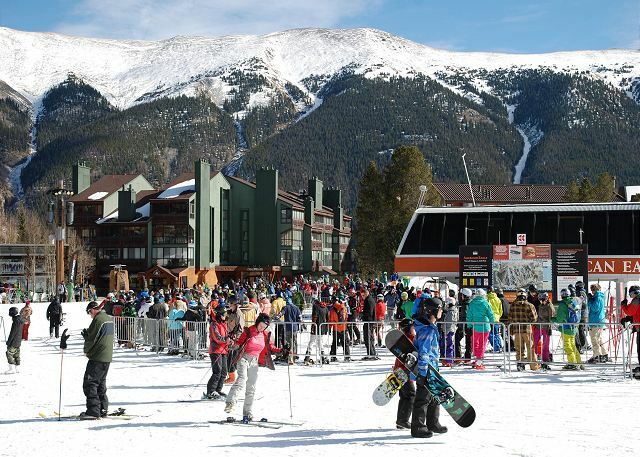 These buses take you to to all villages in Copper Mountain. Great place for us and my sons family to stay. Everything as described. Everything was as good or better than the pictures show. Super convenient. View of the kiddie slope was adorable. also could watch a little half-pipe action. Great location for skiing or snowboarding. Clean, looked just like photos.